TORONTO, ON – The expansion of Toronto’s craft brewing scene seems poised to continue for the foreseeable future, with another new brewery start-up announced as being in the planning stages this week. 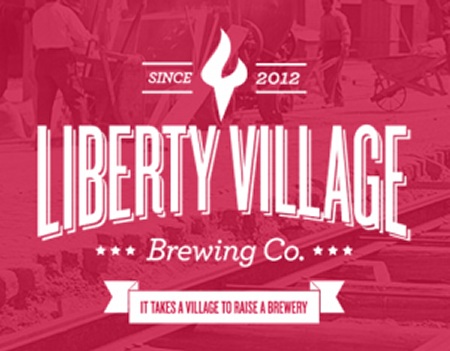 What we’re focused on is who will become involved in the Liberty Village Brewing Company, and that is the Liberty Village community itself. There are beer enthusiasts in the Village who are excited about this project, so we are laying the groundwork for anybody to become involved. We want to engage the community on every level of this business from continuing product development, to ownership and marketing. The article notes that test batches of several beers are currently being brewed for tasting sessions this fall, and the partners hope to be officially up and running in early 2013, initially brewing on a contract basis at another Toronto brewery, but eventually opening a dedicated brewery and retail outlet somewhere in the Liberty Village neighbourhood that gives the company its name. More details will be posted as available on the Liberty Village Brewing website, Facebook page and Twitter feed.